紅色的虞美人花襟花通常會佩戴在左胸腔，襟花的花芯原是黑色，但於 1980 年至 2002 年期間，花芯曾一度被改為另一顏色，你知道是甚麼顏色嗎? In the lead-up to Remembrance Day, most of us choose to pin a red poppy above our hearts as a symbol of respect and solemn remembrance of those who had given their lives for our freedoms. Although the poppies were originally distributed with a black centre, it was changed to another color during 1980 to 2002, do you know what color it is? Answer the trivia question on facebook today. 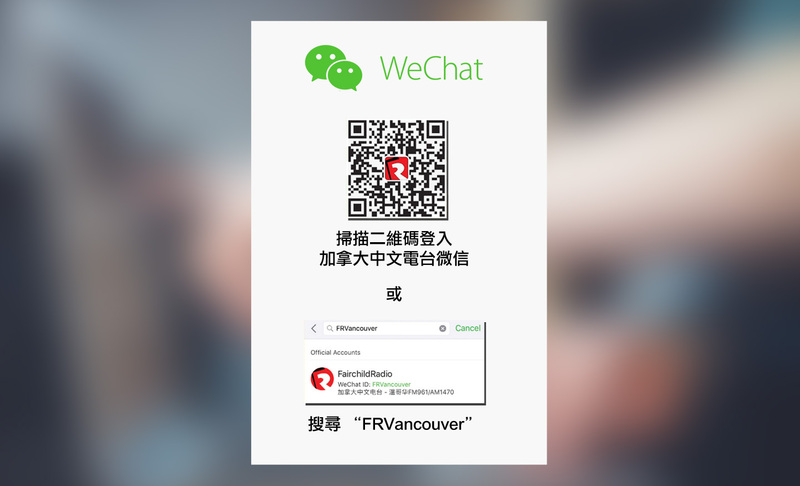 Deadline: November 10, 2015 (Thursday) @ 5pm (Vancouver time). 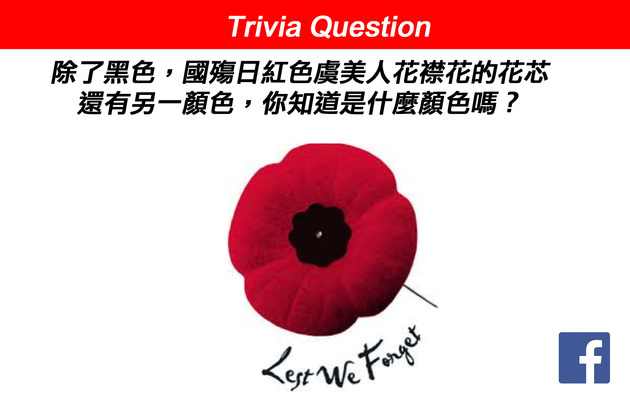 The correct answer will be revealed on Fairchild Radio website and facebook on November 11, the Remembrance Day. 這問題是在 facebook 上進行，如果你參加遊戲時尚未以自己的帳戶登入，facebook 可能需要你輸入資料。若成功參加遊戲，畫面會彈出「感謝您抽空回答我們的問題」等字樣。 If you haven't logged in your facebook account when answering the question, you might be asked to log-in. Your answer will only be counted when a message that says "Thank you for your participation" appears on screen.